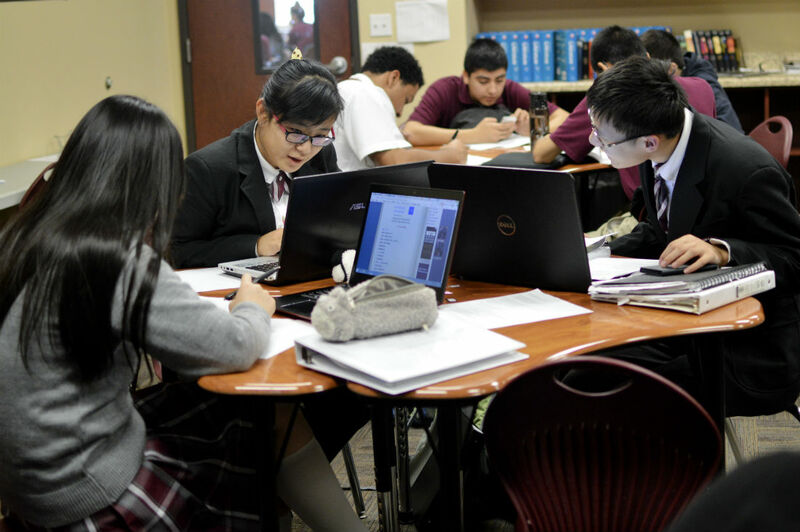 A decade ago, about 600 Chinese students attended high school in the United States. Today, there are more than 38,000. For many, this is their first time away from home and their first time in a new country. Meet one teen who’s making the transition at a Garland charter school. 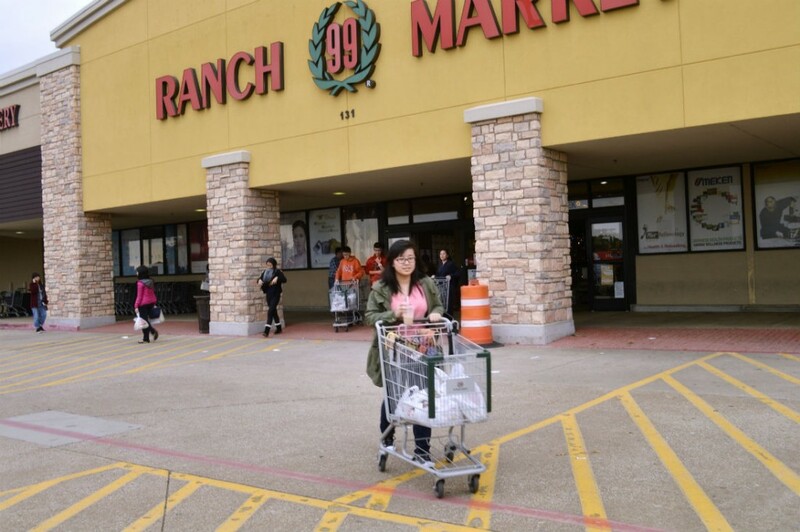 Every other weekend, Niuying Cao and her classmates pile up in a large, white van and head to 99 Ranch Market. 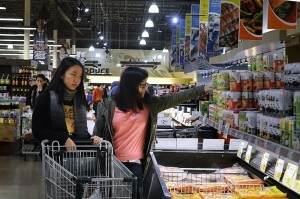 It’s a bustling Chinese supermarket in a Plano shopping center. More than 7,000 miles away from China, it’s a small reminder of home for the 10th grader, who goes by Arron. 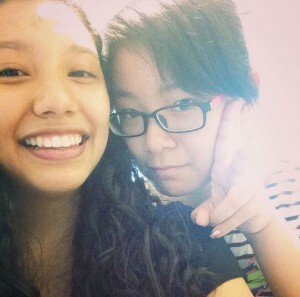 At the store, she joins another student, Jiaying Zhang, who goes by her American name, Shirley. They grab a shopping cart and walk up and down the aisles. Arron, who’s 17, is from Shanghai. She’s one of 28 students who arrived in August to attend International Leadership of Texas, a public charter high school in Garland. The teens live on campus in new apartments. During the week, they have wake-up calls at 6:10 a.m. It’s lights out by 10 p.m. Sunday through Thursday. But on the weekend? 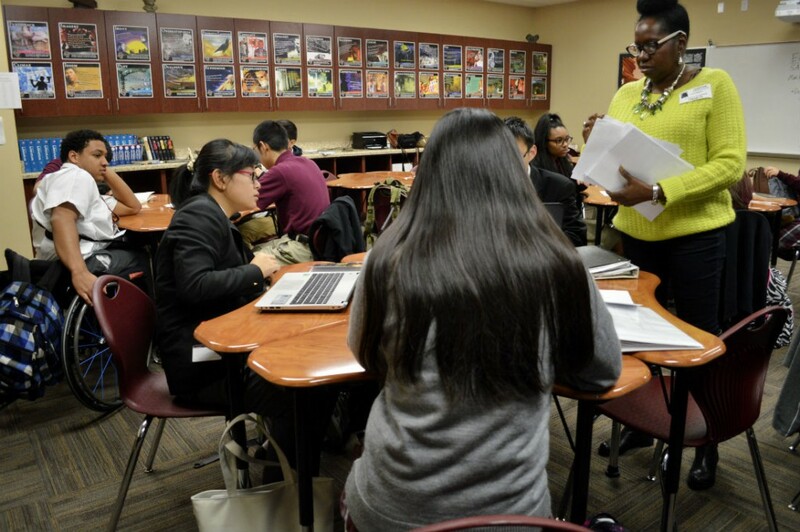 Overall, the number of Chinese international students at American schools has grown during the past decade, according to the U.S. Department of Homeland Security. In 2005, just 632 students attended private and public high schools in the U.S. Today, there are more than 38,000. 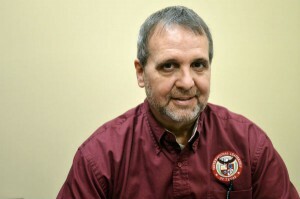 Gary Manns is the director of international students at the International Leadership of Texas and the students’ guardian. Manns spent two years teaching in China. His wife is Chinese. The couple live on campus with the students and spend a lot of time with them. 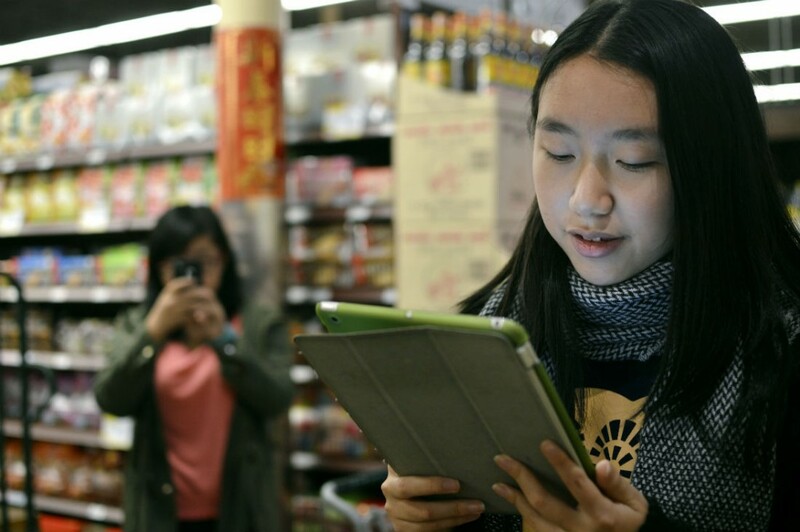 Manns stays in touch with the kids’ parents using a voice and text messaging service called WeChat. He also takes them on the weekend shopping trips. Sending your child to the U.S. for an education is not cheap. Those who come typically are from middle- and upper-class families. The students at IL Texas are paying $28,000 a year, which includes health insurance, a laptop, an iPhone and room and board. Once they graduate from high school, many will stay in the U.S. to attend college. “I think a lot of them see American universities as better universities to prepare their children — for future careers and goals,” Manns says. Once they have that degree, Manns says many will try to land jobs in the U.S. and stay here permanently. In the meantime, the goal is to master English. A lot of the kids know a little bit when they arrive. In class, teachers have to speak slowly and use visuals, showing them pictures of words. Shirley, who’s 16, says it can take some time to get used to living in a foreign country. Shirley compares it to a classic adventure tale: Alice in Wonderland. It’s a new world where teens have much more independence. That was surprising to Arron. For example, the kids wear makeup at school. “In China, if you wear makeup every day, you were in trouble,” Arron says. In China, girls also get in trouble if they wear their hair up, Arron says. It’s quite a contrast to how she typically dresses. Manns points this out on a recent Friday at school. Still, there are some things it seems teens everywhere like to do. During this outing at the market, the girls stayed glued to their iPhones. Shirley even brought her iPad. At one point, Shirley approaches a photographer and begins reading some lines from her smartphone screen. It’s an Emily Dickinson poem. A few minutes later, Arron approaches a stranger and begins reciting lines, too, as Shirley records it on her smartphone. Turns out it’s a class assignment to get the kids to practice their English. The girls try not to laugh as they approach other people. One man says no. A woman says OK but, just as long as no one takes her photo. 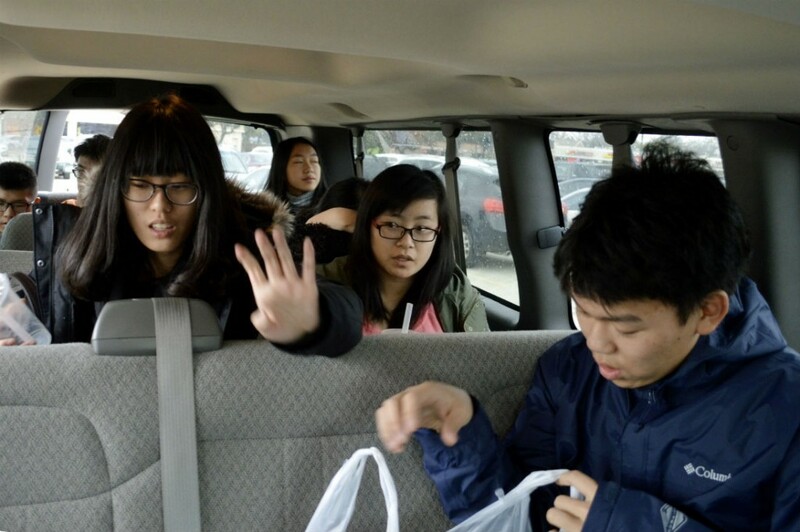 When the teens are done shopping, they get into the van and head back to campus. They say they’ll likely spend the rest of the afternoon studying with a break for dinner – catered Chinese food. It’s not just English the students have to practice. 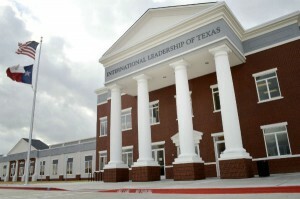 At IL Texas, all of the kids are learning Mandarin Chinese. They’re learning Spanish, too. Arron’s in luck. 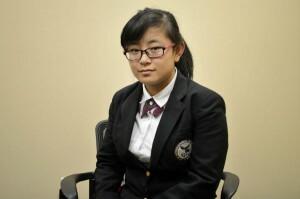 Each Chinese student is paired with a local mentor. Arron’s is Arianna Guevera, a 15-year-old who goes by Aria. She was born in Mexico and speaks Spanish. The first time they went to Aria’s home, they made tostadas. Arron’s going to spend Christmas break with Aria and her family. On the menu? Tamales, posole, English, Spanish and Mandarin.